Early Sports Specialization: A recipe for success or injury? When I worked as a strength coach at a private training facility, I had a 12 year old kid that showed up for his workout looking dejected. This was very rare for him so I asked him what was wrong, and he told me that his parents wanted him to pick a sport. This kid was a tennis player, swimmer, and basketball player and he enjoyed all of them. When he came in for workouts, he did not care about what he was doing, he just wanted to do something active. In short, he and his parents had very different mindsets. Therefore, I told him, “Do not pick one, and play them all. Also, if your parents disagree, I am more than happy to talk to them.” It was not a fun meeting with the parents at first, but I explained to them what I will discuss in this paper. Early specialization is not good for youth athletes, and will lead to more negative than positive outcomes. Sports specialization is defined as intense training in one sport while excluding others. Many parents and coaches push their kids in this direction with the thought that their child has a better chance of becoming an expert. Ericsson et al identified 3 stages in becoming an expert musician; start at an early age, specialize and increase participation, and full-time commitment. Ericsson et al. also specified that expertise is reached through “deliberate practice”. This is defined as “practice activities that were effortful, low in inherent enjoyment, and purposefully designed to address current area of weakness” (2). Ericsson et al. also argued that deliberate practice must occur during childhood because it is a period of enhanced biological and cognitive development. While the research based evidence by Ericsson et al. supported early specialization, one must remember that these studies looked at musicians and chess players. These activities do not involve the same physiological demand and development of athletics! A lot has changed since research started looking into early specialization specifically in sports. In the U.S. between 1997 and 2008, the percentage of children 6 years and younger participating in an organized sport increased from 9% to 12%, and 77% of high school athletic directors across the country reported an increasing trend in sport specialization. Furthermore, the United States Tennis Association found that 70% of junior tennis players started specializing at an average age of 10.4 years old. This percentage increased to 95% by the age of 18. However, reports also show that athlete satisfaction ratings decreased substantially in players older than 14 years. 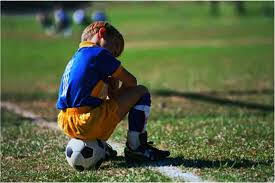 Several studies support the negative psychological effect of early specialization. Swimmers and ice hockey players who specialized early retired earlier than those that specialized later in life. Junior tennis players who quit at an early age reported having less input in their training, higher perceived parental criticisms and expectations, and lower levels of extrinsic motivation. Finally, elite Russian swimmers who burned out blamed psychological fatigue and general health. The psychological challenges imposed by early specialization also affect the social development of a youth athlete. Research suggests that intensive training at an early age limits the development of social skills. Studies have shown that youth athletes involved in specialized training demonstrate less helping and sharing behavior and greater antisocial tendencies than other athletes. Furthermore, early specialized athletes have reported social isolation, rivalry, lack of free time, and sacrificing or missing social opportunities as consequences of their sport career. Early specialization interrupts the natural physiological growth of a youth athletes. By placing consistent, unvaried demands on an athlete during the most important developmental stage in their life, they never acquire natural athletic movements that could be learned through other activities. Unvaried activity also increases the risk of over use injury. Whether it be repeatedly serving in tennis or repeatedly throwing a baseball, these motions on under-developed shoulders increase the risk of structural damage substantially. In fact, a study found that youth pitchers who pitch over 100 innings per year (about 11 full games) are 3.5 times more likely to be injured. Other studies found that pitching more than 8 total months per year also significantly increases risk of shoulder and elbow injuries. Finally, it was shown that peripubertal athletes are more likely to suffer structural injuries because their bodies are in vulnerable states of growth. Due to psychological and physical factors, late specialization is much more beneficial for an athlete. It has been shown that a greater number of sports participated in during the developmental years resulted in less sport-specific practice needed later in life to acquire sport expertise. Early diversification provides the young athlete with valuable physical, cognitive, and psychosocial environments and promotes intrinsic and extrinsic motivation. The research and statistics show that early specialization hinders the physiological and psychological development of a youth athlete. The history of successful multi-sport athletes supports this claim. 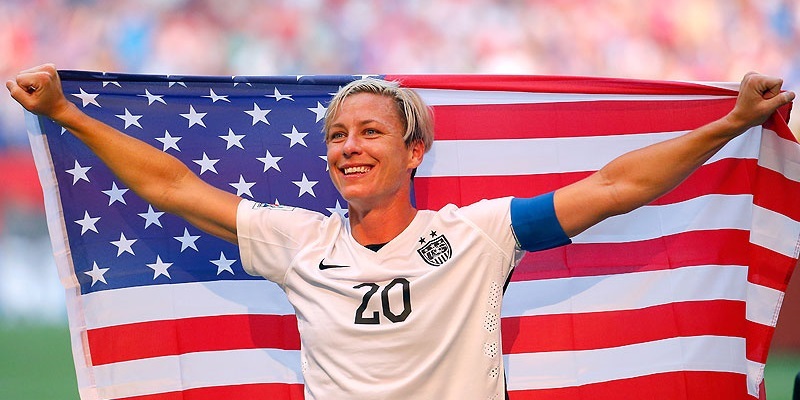 Abby Wambach had one of the greatest goals in Women’s World Cup history with her last second header against Brazil. She is known as the greatest header of a soccer ball in the history of the sport, which is a skill she credits to playing basketball throughout high school. Wambach said in an interview, “I am a taller player in soccer, in basketball I was a power forward and I would go up and rebound the ball. So learning the timing of your jump, learning the trajectory of the ball coming off the rim, all those things play a massive roll”. Lauren Holiday, also a U.S. Women’s National Team member, said, “Having that variety is an awesome thing and I would encourage any young athlete or parents not to restrict themselves. Doing different things develops different parts of your body. It can help prevent injuries and definitely help prevent burnout”. In the 2016 NFL Draft, 28 out of the 31 first round draft picks played multiple sports in high school. The list of professional athletes who played multiple sports is extensive. 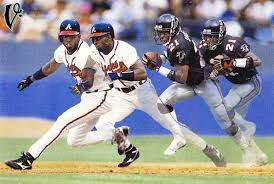 Bo Jackson and Deion Sanders were elite NFL and MLB athletes. Tom Brady and Troy Aikman played baseball in high school and were drafted by MLB teams before committing to football. Tony Gonzalez, Antonio Gates, and Julius Pepper all played college basketball before going on to have Hall of Fame careers. Parents, sport coaches, and strength coaches need to realize that general physical activity and sport diversification for youth athletes is better in the long run than intense, specialized training in one sport. It is a culture that is primarily controlled by everyone except for the young athlete. Therefore, it is up to us physical performance coaches to spread this knowledge to end the early specialization epidemic. Cancer is one of the most common health concerns across the world. In fact, approximately 12.7 million people are diagnosed with cancer each year. However, the more important statistic is that 33% of cancer cases can be prevented through early treatment and healthy lifestyle choices (1). This same concept remains consistent with patients who are undergoing treatment. The two main types of cancer treatment are chemotherapy and radiation. Chemotherapy is intravenous treatment in which travel through the body on a mission to kill cancer cells. Radiation used high energy waves to kill cancer cell and shrink tumors. Both of these treatments are highly successful, but they also entail a lot of negative side effects (2). Chemotherapy and radiation have common side effects. Chemo typically results in nausea and vomiting, loss of appetite, weakened immune system, hair loss, and extreme fatigue. Radiation is known to cause fatigue, muscle soreness, and skin irritation (2). The loss of appetite, nausea, muscle soreness, and fatigue are the most debilitating due to the fact they prevent the patient from living their normal life. I saw this happen when my friend had cancer. He went from a healthy, energetic guy who followed a balanced diet and regimented workout schedule to a guy who had trouble eating and walking more than a mile. Unfortunately, during treatment these side effects do not go away with just rest and relaxation. A patient must attack the side effects just like they are attacking the cancer by practice a healthy, active life style. Research shows cancer can be prevented in a third of the patients affected by it with exercise. Exercising during cancer treatment is a difficult task, but it is a very important part to the recovery process. First of all, in any case, a patient should always discuss the matter with his or her doctor before starting an exercise routine. With that said, research has shown no harmful effects on cancer patients with moderate exercise. In fact, consistent moderate exercise has been shown to reduce fatigue feelings by 40-50% (3). Carol Harrison, senior exercise physiologist at The University of Texas, says, “Exercise has the potential to help reduce some of the fatigue experienced during and after treatment, especially if you’re undergoing radiation therapy. And, it can help prevent weight gain commonly experienced during chemotherapy treatment” (4). Exercise has been known to improve one’s psychological outlook while in stressful situations. Exercise releases endorphins and regulates hormone levels, which improves one’s emotional and psychological state (4). The American Cancer Society strongly recommends that patients and survivors return to normal daily activities as soon as possible. They also advise including strength building exercises twice a week, and 150 minutes of moderate intensity aerobic exercise or 75 minutes of high intensity exercise per week (4). All of these methods can be used for low to moderate intensity exercise. If you can make it to a gym, biking, rowing, elliptical, and treadmill are the best options. It is good to consistently change machines in order to put your body through new challenges. If you cannot make it to a gym, a home stationary bike would be a great investment. If you cannot buy one of those, walking around the neighborhood or up and down the stairs at home are both great ideas. When you are comfortable with moderate intensity, simply increase your speed and decrease your time duration in order to make it high intensity exercise. Bodyweight exercises are a great starting point for cancer patients to increase total body strength. IT IS VERY IMPORTANT THAT YOU DO THESE WITH PROPER TECHNIQUE! When you get comfortable with bodyweight exercises, you can do the same exercises with bands or dumbbells. It is very important to focus on strengthening the lower body musculature and the core (your entire torso, not just your abs). During treatment, patients usually sit more than normal resulting in atrophy of lower body and core muscles. Strengthening these muscles will allow you to get back to daily activities much faster. Setting exercise goals is a very important step to getting healthier during the treatment process. If you walk .5 miles within a few days after treatment, you should attempt to walk .6 or higher the next day. If you walk up and down the steps 10 times, you should aim to walk 11 times the next day. Setting goals is important because it ensures that you are progressing. Also, your attitude will be more positive and your psychological outlook will improve when you accomplish a personal goal every single day! Set goals, reach goals, and beat cancer! 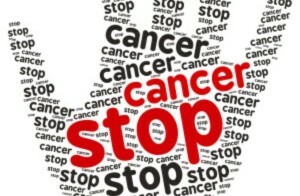 I know that cancer treatments can wipe you out. They make you feel tired, nauseas, and sad. I do not know what cancer treatment feels like, but I do know that physical activity has the potential to lessen the severity of the side effects. Whether it is a 40-50% decrease in fatigue levels or an overall better attitude about the treatment process, exercise is a powerful weapon that all cancer patients should have in their arsenal. As hard as it is to start exercising after treatment, it is advantageous in the fight against cancer! I urge all readers, patients, family members, or friends, to pass the message on to others. No body can beat cancer alone. Help loved ones affected by cancer get back to their normal life. Educate them on the importance of exercise, exercise with them, make sure they set goals, and help them achieve those goals. WE CAN BEAT THIS ONE WALK AT A TIME, ONE BIKE RIDE AT A TIME, ONE EXERCISE AT A TIME!